Unseen Warfare: . . . it is inconceivable how the great Lord of hosts could grant such favours to our nothingness and worthlessness. In order that you may move your will more easily to this one desire, in everything—to please (God and to work for His glory alone—remind yourself’ often, that He has granted you many favours in the past and has shown you His love. 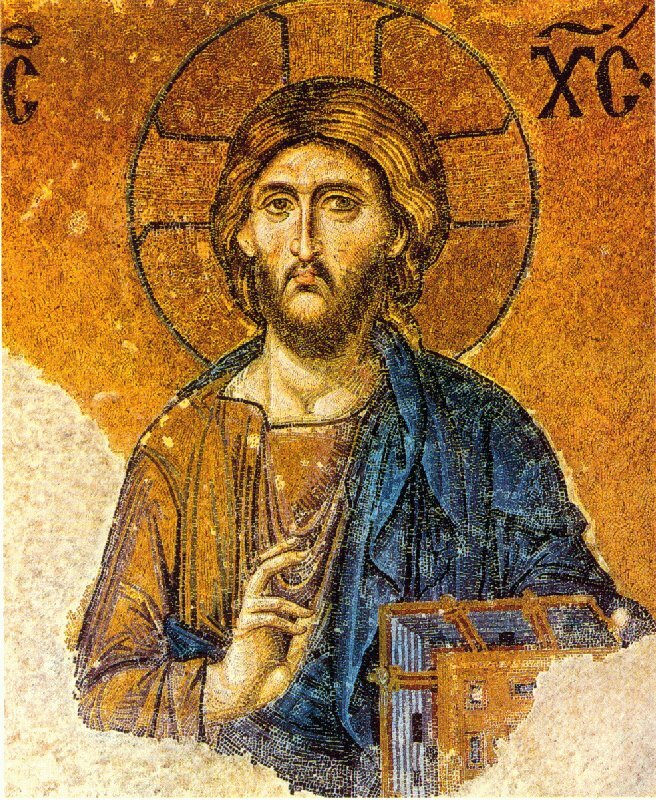 He has created you out of nothing in His own likeness and image, and has made all other creatures your servants; He has delivered you from your slavery to the devil, sending down not one of the angels but His Only-begotten Son to redeem you, not at the price of corruptible gold and silver, but by His priceless blood and His most painful and degrading death. Having done all this He protects you, every hour and every moment, from your enemies; He fights your battles by His divine grace; in His immaculate Mysteries He prepares the Body and Blood of His beloved Son for your food and protection. All this is a sign of God’s great favour and love for you; a favour so great that it is inconceivable how the great Lord of hosts could grant such favours to our nothingness and worthlessness. 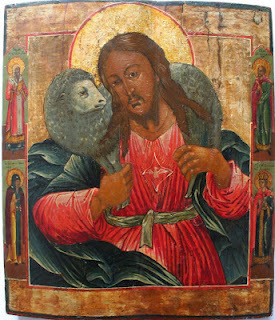 This entry was posted in Sayings from Saints, Elders, and Fathers, St. Nicodemus of the Holy Mountain, St. Theophon the Recluse and tagged Animals, Animals Subject to Humans, Creating World out of Nothing, Crucifixion, Deliver from Evil, Divine Love, Drawing to God, Eucharist, God as Creator, God as Redeemer, Goodness of God, Grace, Grace of God, Image of God, Incarnation, Love of God, Mercy of God, Protection of God, Remembering God, Spiritual Warfare, Thanksgiving, The Evil One on September 3, 2015 by . From Unseen Warfare: You must never be afraid . . . that the enemy is too strong against you, that his attacks are never ending . . .
You must never be afraid, if you are troubled by a flood of thoughts, that the enemy is too strong against you, that his attacks are never ending, that the war will last for your lifetime, and that you cannot avoid incessant downfalls of all kinds. Know that our enemies, with all their wiles, are in the hands of our divine Commander, our Lord Jesus Christ, for Whose honour and glory you are waging war. Since He himself leads you into battle, He will certainly not suffer your enemies to use violence against you and overcome you, if you do not yourself cross over to their side with your will. He will Himself fight for you and will deliver your enemies into your hands, when He wills and as He wills, as it is written: ‘The Lord thy God walketh in the midst of thy camp, to deliver thee, and to give up thine enemies before thee’ (Deut. xxii, 14). 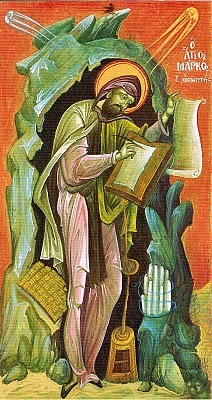 This entry was posted in Sayings from Saints, Elders, and Fathers, St. Nicodemus of the Holy Mountain, St. Theophon the Recluse and tagged Demonic Attack, Demons, Enemies, Falling Down Getting Up, Free Will, God as Master, God's Will, Goodness of God, Omnipotence of God, orth, Overcoming Sin/Passions, Scripture Book of Deuteronomy, Self-Will, Spiritual Labors, Spiritual Warfare, Suffering, Temptations, The Evil One on September 1, 2015 by . St. Mark the Ascetic: . . . without affliction virtue has not been tested. Do not claim to have acquired virtue unless you have suffered affliction, for without affliction virtue has not been tested. This entry was posted in Sayings from Saints, Elders, and Fathers, St. Mark the Ascetic (St. Mark the Monk) and tagged Afflictions, Living Orthodoxy, Quotes from the Philokalia, Short Quotes, Spiritual Warfare, Suffering, Temptation, Virtue on August 25, 2015 by . St. Macarius of Optina: Do not allow the spark of discord and enmity to smolder. . . This entry was posted in Sayings from Saints, Elders, and Fathers, St. Macarius of Optina and tagged Asking Forgiveness, Confusion, Enmity, Forgiveness, Forgiveness of Others, Humility, Quotes of the Optina Elders, Spiritual Warfare, The Evil One on August 21, 2015 by ocqadmin. 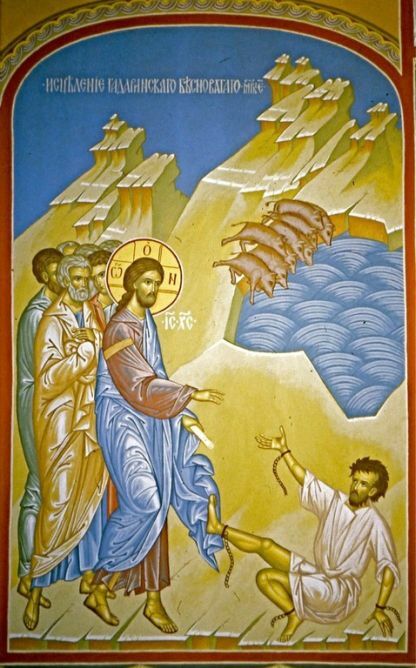 St. Sebastian Dabovich: Yes, the two men of the Gadarenes were possessed with devils. They were not common maniacs . . . This entry was posted in Sayings from Saints, Elders, and Fathers, St. Sebastian Dabovich and tagged Demonic Attack, Demonic Possession, Demons, Fifth Sunday after Pentecost, Gadarene Demonic, Hell, Mental Illness, Spiritual Healing, Spiritual Illness, Spiritual Warfare, The Evil One, Torment on July 7, 2015 by . St. Sebastian Dabovich: Rouse yourselves ! The world which you worship only flatters you. . . . This entry was posted in Sayings from Saints, Elders, and Fathers, St. Sebastian Dabovich and tagged Demonic Attack, Demons, Drawing to God, Fifth Sunday after Pentecost, Gadarene Demonic, Living in the World, Material World, Omnipotence of God, Spiritual Waking, Spiritual Warfare, Swine, Worldliness on July 6, 2015 by . 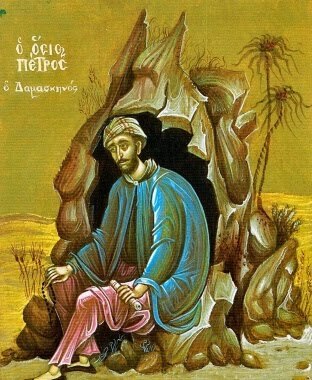 St. Peter of Damaskos: Patient endurance kills the despair . . . This entry was posted in Sayings from Saints, Elders, and Fathers, St. Peter of Damascus and tagged Despair, Endurance, Listlessness, Patience, Quotes from the Philokalia, Soul, Spiritual Warfare on February 5, 2015 by . St. Anatoly of Optina: Are you fighting against your passions? Fight, fight, and . . . 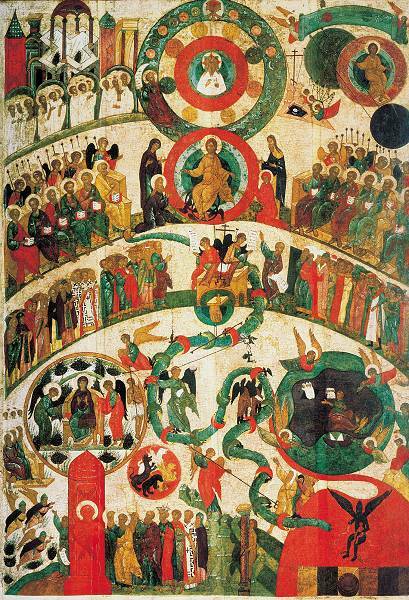 This entry was posted in Sayings from Saints, Elders, and Fathers, St. Anatoly of Optina and tagged Conquering Evil, Evil, God as Physician, Harlot Washing Jesus' Feet, Overcoming Sin/Passions, Publican, Publican and the Pharisee, Quotes of the Optina Elders, Repentance, Spiritual Warfare, Temptation, The Church, Wise Thief on October 17, 2014 by . Canon of Supplication at the Parting of the Soul: Count me worthy to pass, unhindered, by the persecutor . . . This entry was posted in Church Prayers, Hymns, Services and tagged Body, Death, Demons, Falsely Accused, Soul, Soul and Body, Soul and Body Separating, Spiritual Warfare, Tollhouses on October 16, 2014 by . 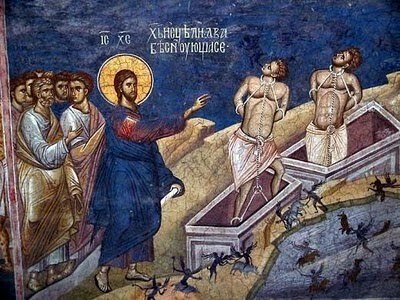 St. Theognostos: When the soul leaves the body, the enemy advances to attack it . . . This entry was posted in Sayings from Saints, Elders, and Fathers, St. Theognostos and tagged Body, Courage, Death, Demonic Attack, Demons, Divine Love, Soul, Soul and Body, Soul and Body Separating, Spiritual Warfare, Tollhouses on October 9, 2014 by .